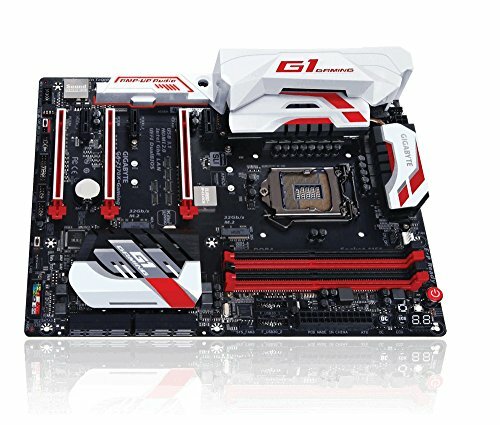 this motherboard has everything you could ask for.. feature per feature wise, you can't go wrong with this. it has plenty of OC features plus good looks that matches with the cases you are planning to put up with makes this board bestseller. I RMAed the first board I had but it was NOT at fault. This board looks cool but also has a ton of features. I haven't built a system for a few years but I'm pleased to see they're making so many cool looking boards that allow you to make eye pleasing combinations of hardware. Looks are nothing when it comes to performance but I find myself choosing pieces based on the hardwares ability and what it looks like as well. Some of the reviews online were scaring me away from this board, but I love it. 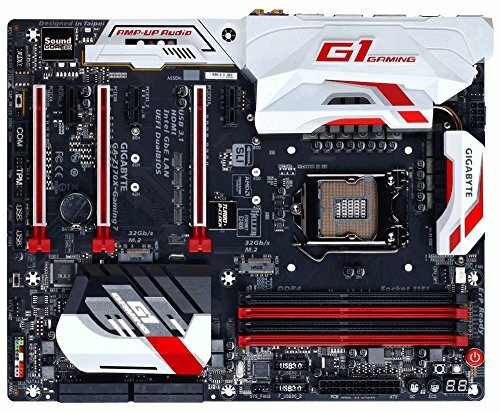 This is my third Gigabyte board, but first intel based one. It shipped with the F5 BIOS but I quickly upgraded to the F6 as soon as I got my first POST. I have had no issues with it so far, and it was a breeze to install. Plenty of connectors, and the manual is decent. The Gigabyte App Center has some cool apps and the BIOS GUI is pretty simple to navigate. The board detected all of my hardware just fine, including my m.2 NVME 950 Pro stick. Just be aware of how M.2 shares PCIe lanes with SATA. 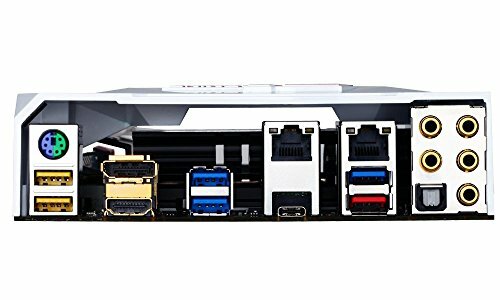 If you only have one M.2, use the M.2 connector on the bottom, it uses up less SATA lanes. If you have 2 M.2 connected, you will lose all but SATA_5 on the Intel SATA controller, but Gigabyte provides 2 additional SATA connectors with a secondary SATA controller (SATA_6 and SATA_7). You just cannot RAID SATA_6 and SATA_7. Windows 10 installed just fine, I enabled the Windows 8/10 mode in the BIOS and have "Ultra fast boot" turned on. The system loads in less than 10 seconds from power up. You can even customize the startup logo with the gigabyte App. This board also comes with 2 Ethernet controllers. Great for hosting VM's. The reason I chose the Gigabyte motherboard was value. 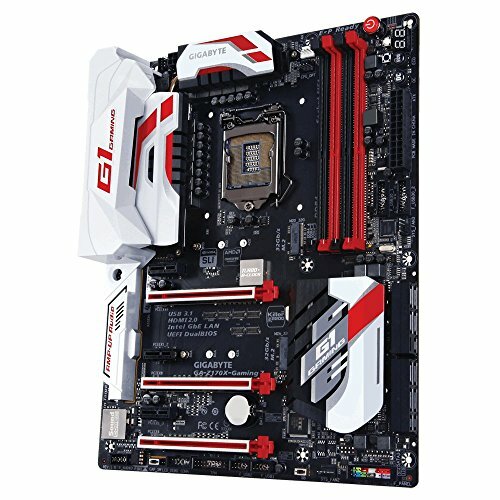 My choices came down to the Gigabyte, ASUS ROG MAXIMUS VIII HERO, and MSI Z170A Gaming M7. All three are excellent and receive high marks in reviews, but the Gigabyte offered the best I/O connectivity and integrated sound processing. The CPU (Intel i5-6600K), motherboard and memory (G.Skill TridentZ Series 16GB DDR4-3000) all were installed and configured with no issues. Following the advice of others, who had installed this combination before me, I flashed the BIOS to an updated rev before I booted the system. This was key in to allowing the memory to run correctly using its XMP profile. I was able to achieve a 4.0GHz overclock on stock voltage. I have not had any issues with Windows 10 and the Gigabyte drivers. The only issue I have experienced with this board is the sound processor will periodically output distorted sound and can only be remedied with a system reboot. This has only happened twice in three months, but is annoying none the less. What a great motherboard. No issues at all with the build, once i figured out the CPU power was not optional. What can I say, this was my first build ever. I plugged in the first M.2 and got the machine up and running and Win 10 installed before i tried installing the other drives. This approach worked without a hitch. 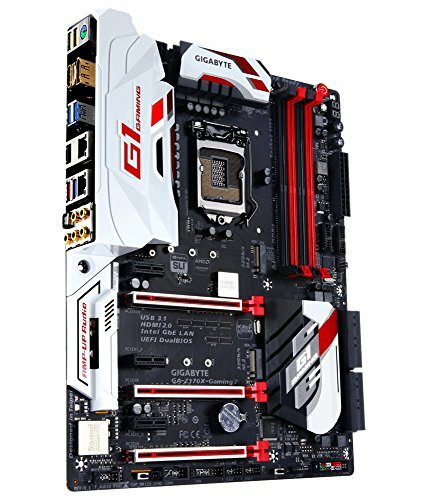 This motherboard is great, all the features I needed, a great color scheme and the sound on it is quite good. I couldn't screw in the upper right screw, it did not seem to catch. I'm not sure if that is the fault of the case or the motherboard. You can only set 1 XMP profile for all 4 sticks of ram, not individually or in the groups of 2. Good for OC, didn't need any of the features in the Gaming 1.